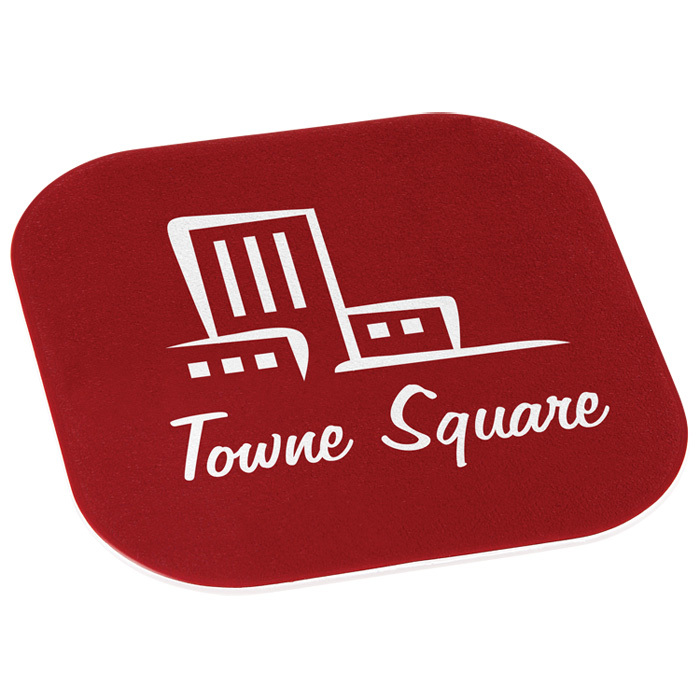 Hard wearing, durable promotional coasters. Your message on their desk - everyday of the year. Stunning colour reproduction is achievable on these quality square shaped coasters. Featuring a non slip base with black trim and available also with a full colour print or in a round shape. For orders of 500 coasters or less (with a 1 colour print) we also offer an express service on this item. Print area: 95 x 95mm.